Size: 9.50 x 8.15 mm. 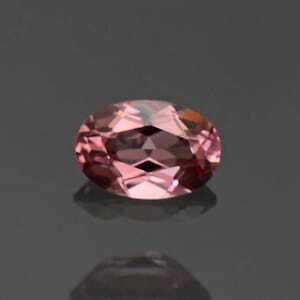 Tanzanian Spinels have been an absolute sensation on the gem Market. 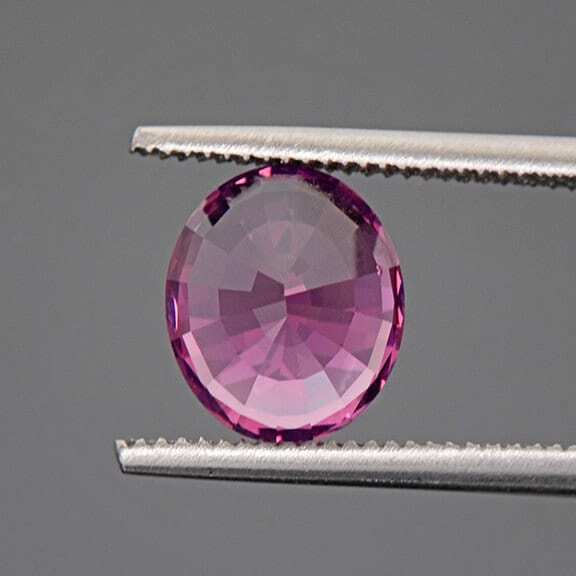 Fine quality Spinel rough comes from only a few localities and Tanzania is one of the best. 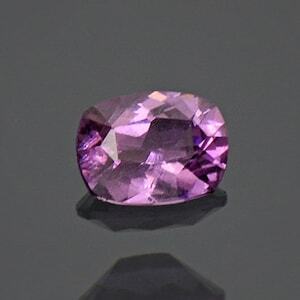 The majority of the Tanzanian Spinel is pink to purple in color and commonly has “silk” inclusions of another mineral. 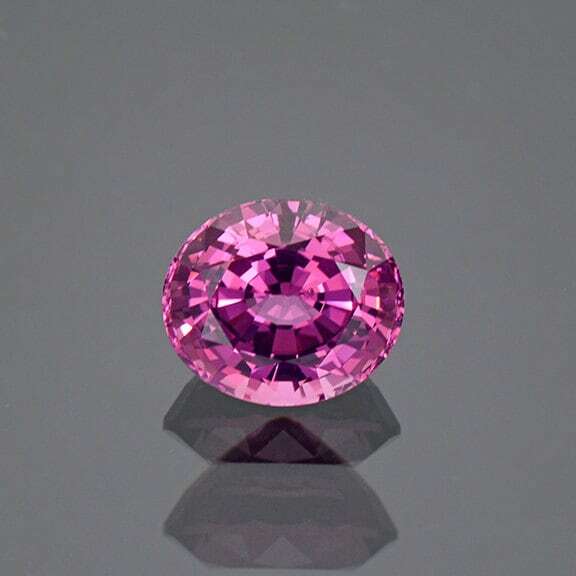 Most commonly these are Rutile inclusions, which also produce star and cat’s eye effects. 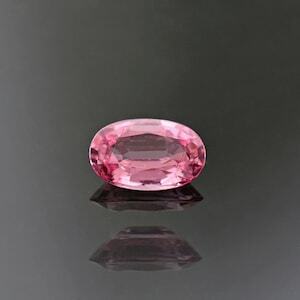 This stone is a lovely Rose pink color that is just enchanting. It glitters beautifully in the hand with exceptional flash and light return. 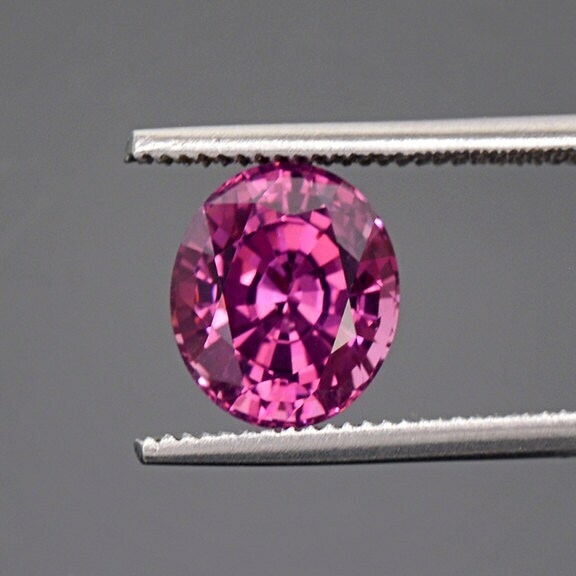 This stone is nearly flawless and looks like a piece of candy. 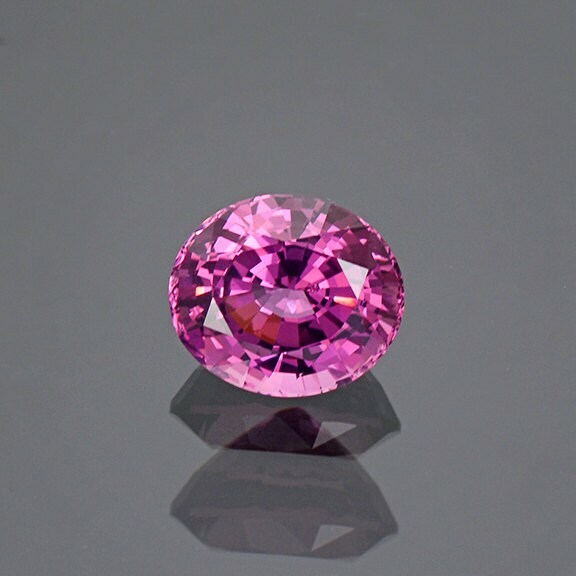 The stone is over 3 and a half carats which is a great size for jewelry. 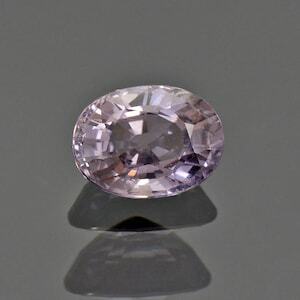 It would undoubtedly be a dazzling center stone for a ring and would be simply jaw dropping! Enjoy!